What Is The Best Workout For Fighters/Grapplers? What is the best workout for fighters/grapplers? Our forum members come together to give you some idea of what it takes to improve your skills in fighting. Learn more about it and see what workouts they have included! TOPIC: What Is The Best Workout For Fighters/Grapplers? Some people want to know the basic defensive skills so they can protect themselves. Fighter/grapplers focus all their energy to simply improving their fighting skills. What is the best workout for fighters/grapplers? Be specific. What are the most important aspects of training for fighters/grapplers? What are the differences between fighter/grappling training and training for other sports? Are there any supplements that would be useful for a fighter/grappler? Bonus Question: Have you ever competed in fighting/grappling, or used a workout like the one described here? A fighter relies on striking the opponent and staying on their feet while a grappler uses various holds to control their competition during standing or ground clinching. A fighter must constantly focus all of their energy toward improving their fighting skills to the best. The best workout would include multiple training techniques, concentrating on strength, speed, power and emphasizing conditioning for the endurance required to finish the match. Sparring and varying forms and techniques should form the workout foundation with weight/resistance training, plyometrics, balance and cardio. Tito Ortiz Fighting Shamrock At UFC 40. Weight/resistance training develops stronger muscles and the power required to deliver crushing blows to the opponent. Maintain a rep scheme at a heavy weight for 6-12 reps since any less will spark the growth of fast-twitch muscle fibers which fatigue faster. 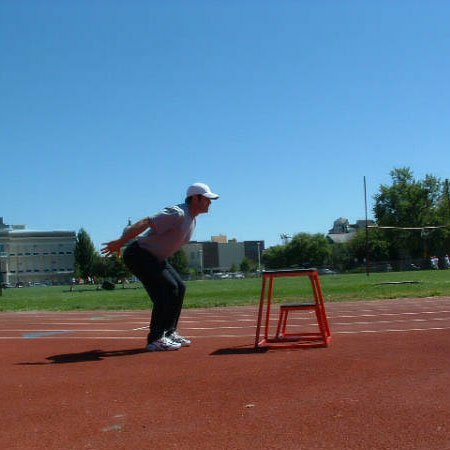 Plyometrics focuses on pairing up speed and strength to get explosive power and produces the most force. Fighting skills/technique such as ground work practice will help with takedowns and submissions fine tuning. Sparring with an expert or experienced fighter will mimic competition and provide fighting experience. 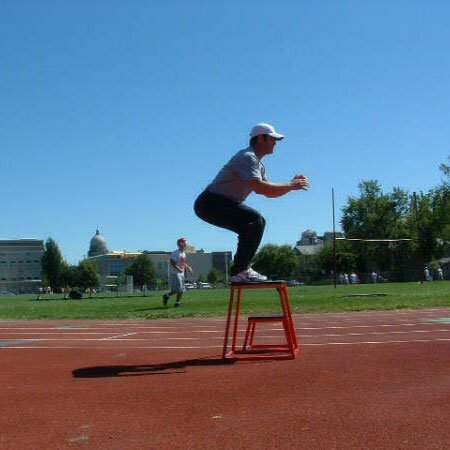 Balance is another key factor often forgotten in competition preparation. While throwing punches, knees, kicks or going in for a tackle, one should always be able to stay on their feet without falling and forking over opportunity to the opponent. Cardio is perhaps the most important part of a program since whoever tires first becomes the loser. 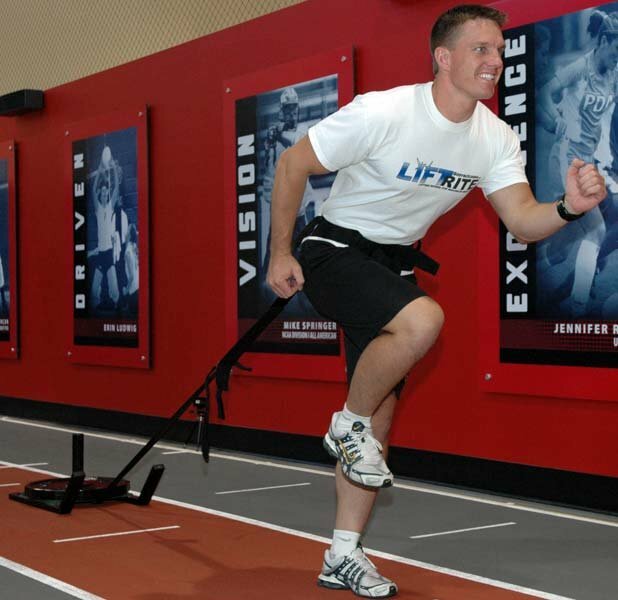 Cardio should mimic the sport and last longer than the actual competition. Click Here For A Printable Log Of Monday/Thursday. Click Here For A Printable Log Of Tuesday/Friday. Many of today&apos;s combatants will focus on only one form of training and ignore the others. Rarely will these individuals get their way (ex. hoping a fight will be fought standing without going to the ground). By having a diverse training background of various fighting and grappling techniques and overcoming any weakness in either technique will result in an impressive competitor. 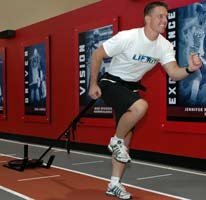 Keep in mind that weight training isn&apos;t such a priority because more muscle mass will make for a stronger athlete but if the athlete lacks technique it won&apos;t matter in the ring. Strength Without Technique Means Nothing. Both fighter/grappler training and sports training aim to improve speed, strength, power and cardiovascular fitness but to varying degrees. Baseball training is geared toward power and coordination to hit or catch the ball and doesn&apos;t include choke holds since they&apos;re never used - or shouldn&apos;t be - used in baseball and grappling doesn&apos;t utilize a bat to hit a ball. In soccer the goal is to get the ball in the other team&apos;s net and focuses on speed and agility but in Mixed Martial Arts, a fighter wants to control their opponent and either get a knockout or have their competition tap out. Different sports have different challenges and are trained for accordingly. As with any sport, supplements can be staples in a healthy diet that aid in recovery. Products such as protein powders, vitamins, minerals, anti-oxidants, joint products (glucosamine), glutamine, and creatine can supply that crucial extra advantage over competition since they allow the body to train harder more often due to faster recovery and repair. Have You Ever Competed In Fighting/Grappling, Or Used A Workout Like The One Described Here? In the past, I took part in both sparring and jui jitsu training but gave up after a year to pursue other sports. Despite no longer fighting I still include the same aspects of training and certain exercises to maintain a healthy fitness level. When it comes to fighter workouts the goal is a balance of stamina and power. The core of the workout should be on the fight skills themselves and sparring. I believe the idea of this is the weight/cardio aspect so that is what I will cover. By mixing bodyweight movements, powerlifting and high output conditioning, you get a good balance of power, absolute strength and conditioning. Combining the push/pull method with this is even better because in fighting you tend to go from striking (push) to grappling (pull) often. Another point to cover is over training. If you practice Fighting 3-4 hours a day 5 days a week - 4-5 lifting days is going to hurt more than help. I myself workout more to compensate for less time with fighter training. Some fighters like to do more intervals and little to no long-distance running. I think a good mix is better. I believe you will fight like you train, so train like you fight. This means hard and put all your effort into your workouts. Cable machine set on low point with an ankle cuff for curls and extensions. These allow for better movement and more stabilizer muscle recruitment. 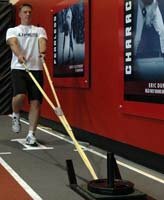 Alternate sled drag direction each time. A towel with two 45-pound plates and a strap tied to a corner of the towel works well. Lunch toss is FUN, FUN and FUN. Mark two points on a field about 10 meters apart. Take a heavy bag (I like 80 pounds) and hoist to left shoulder. Sprint from point A to point B and at end move bag to front press position squat and then jump press as far as possible. 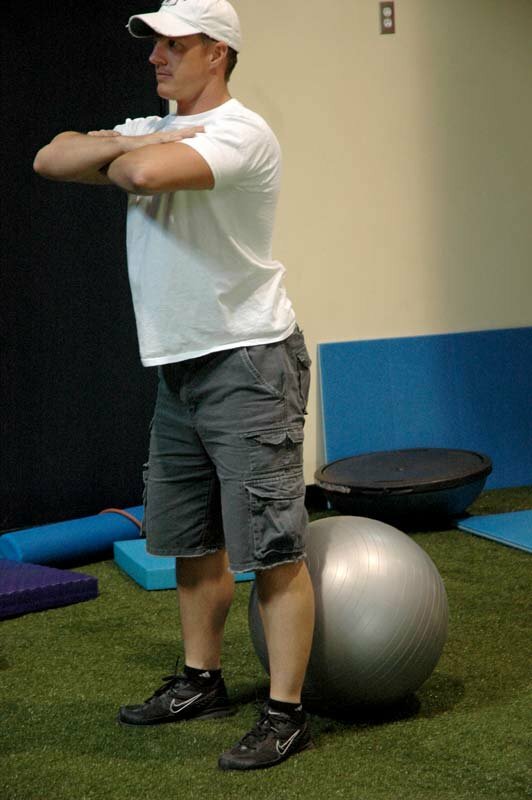 Pick up onto right shoulder and sprint back to point A move to front press and squat jump press. REPEAT. Take 10 min break between h*ll and lifting. 5 Mile run always doing better in time. The most important aspects of fighter training is keeping the intensity up and always changing the workout around to adapt to your individual needs in the fight game. Train your weakness harder to even out your skills and remember that you are training for fighting, not bodybuilding. Think Fedor and Tim Sylvia. They don&apos;t look it but they are the top dogs in MMA. The difference to other sport training is the need of ALL skills and abilities. Soccer/basketball (endurance), football/hockey (explosiveness), quick feet, and gymnastic like flexibility all combine to make a complete fighter. Finding a good balance between these and general skill/technique is the key. Supplements geared toward recovery like glutamine, glucosamine, and creatine is great. Remember though, creatine is a killer come weight cutting time. Protein powder is also a great addition to the diet side of training. A multivitamin geared toward athletes is a must. As for competing I trained at Hackney&apos;s Combat Academy for 4 years with about 8 years of martial arts experience before that, including jiu jitzu, Jeet kune do, and Tang soo do. I am also a personal trainer and trained golden glove boxers, junior Olympic Tae Kwan do and many others from kick boxing for fitness to black belts.